Brewer’s Description Amazingly rich, seductively dark and smoking good. Yes a real heartbreaker. We recommend only the truly skillful, heavyweight beer champions to battle this awfully irresistible and potent smoked Stout. Careful this satisfactory product might give you a Placebo effect. 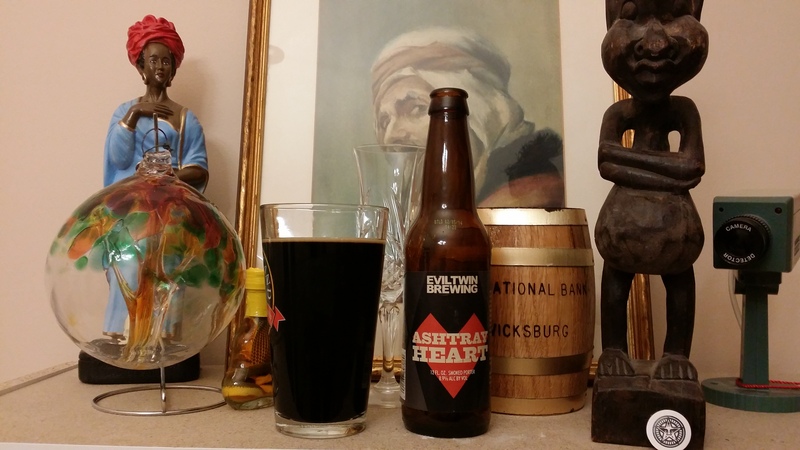 This entry was posted in Beer, Educate, Enlighten, rauchbier, Smokebeer and tagged 5 - 6, boozy, Connecticut, Evil Twin, gypsy, porter, Two Roads Brewing. Bookmark the permalink.